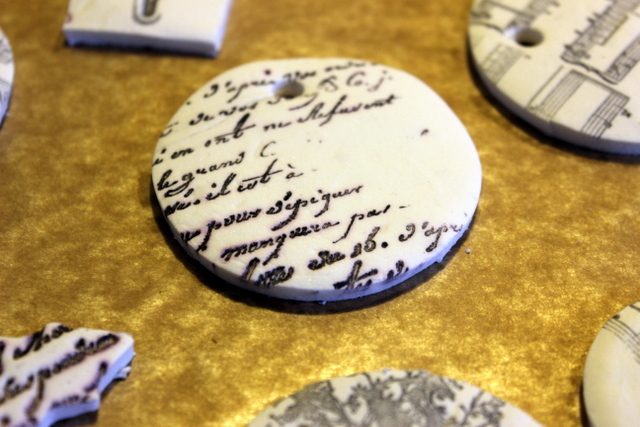 I spent an afternoon this week playing with clay like a child. It was as fun as I remembered, but this clay didn’t smell of earth, like real clay, or that odd salty, musty smell of Play-dough. I made baking soda and cornstarch clay which is surprisingly easy and economical to make, smells wonderfully fresh and clean and handles beautifully if you use it the same day as you make it. I found that storing it over night resulted in a crumbly mess. 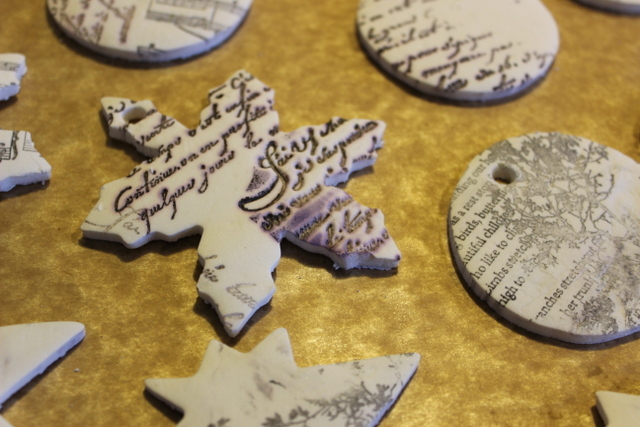 I will share my process and recipe, but be sure to check out some of the pins and posts that inspired me to make these ornaments and gift tags, there’s so much you can do with this clay. 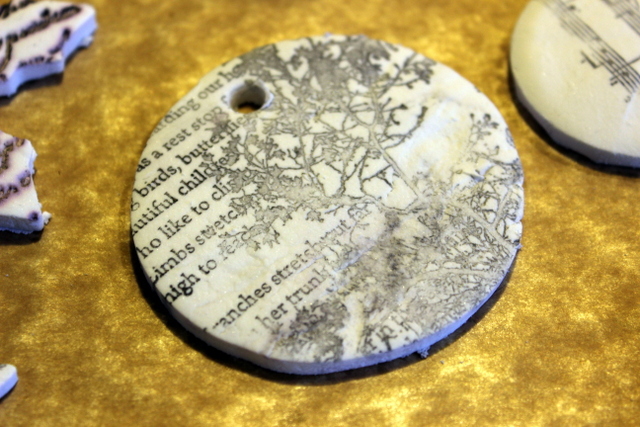 This photo from mariegracedesigns.com first piqued my interest in baking soda cornstarch clay. This one adds some sparkle to the dough, but the clay has a slight glimmer without adding anything additional. 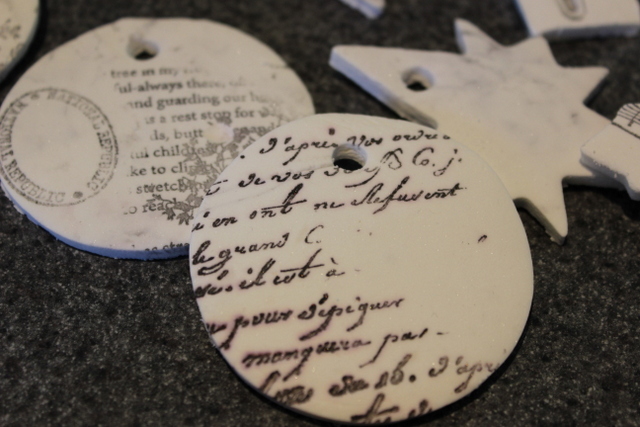 I love the use of pine sprigs to press into the clay here. 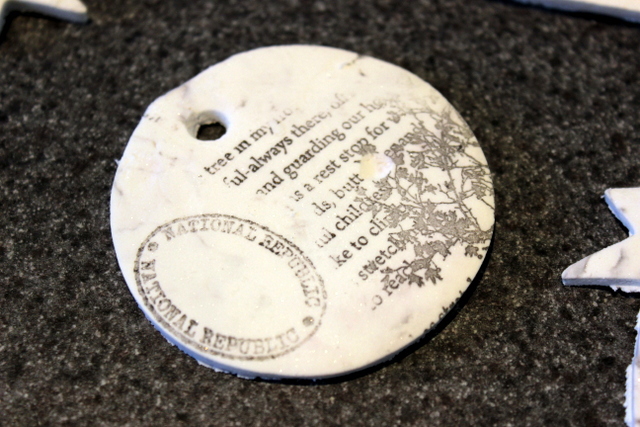 I only used stamps on mine, but want to go back and use rosemary and other botanicals when I make more. Laura at dishfunctionaldesigns.blogspot.com did some nice things with ribbons on hers. 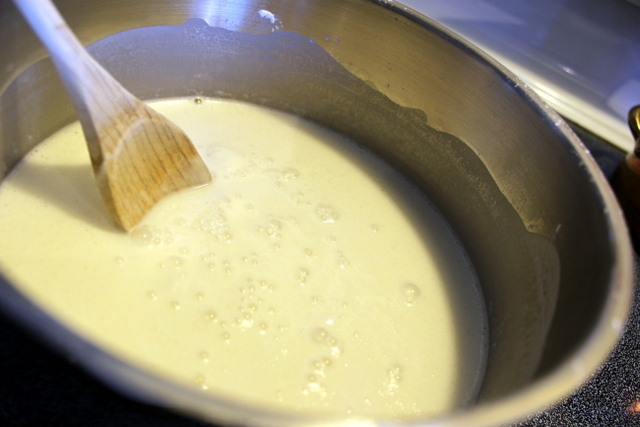 Mix the cornstarch and baking soda then stir in the water. 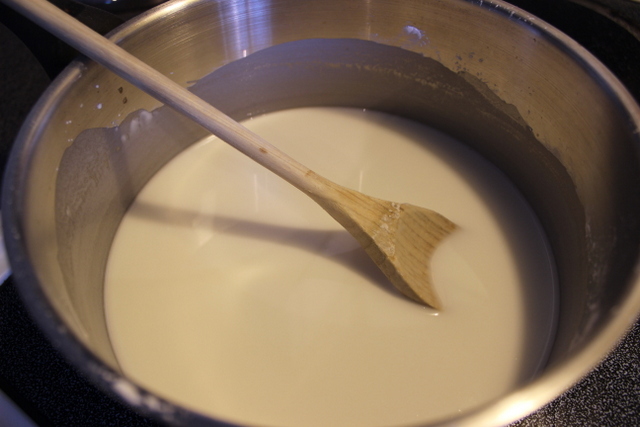 The water will remain on the top of the dry ingredients and will take a bit of time and stirring to combine and ensure mixture is smooth with no clumps. Cook over medium heat stirring constantly. 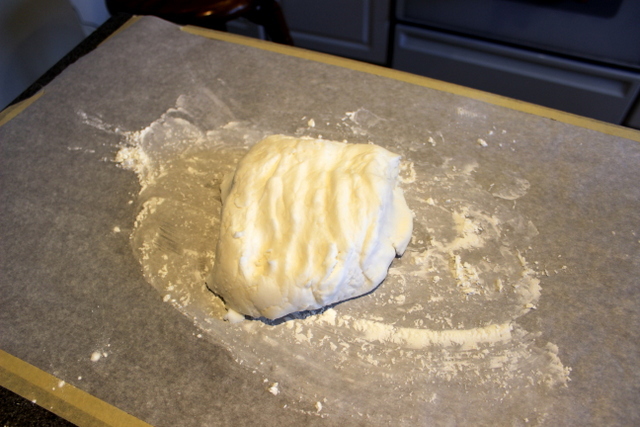 The dough will start to stiffen up and clump quite suddenly. 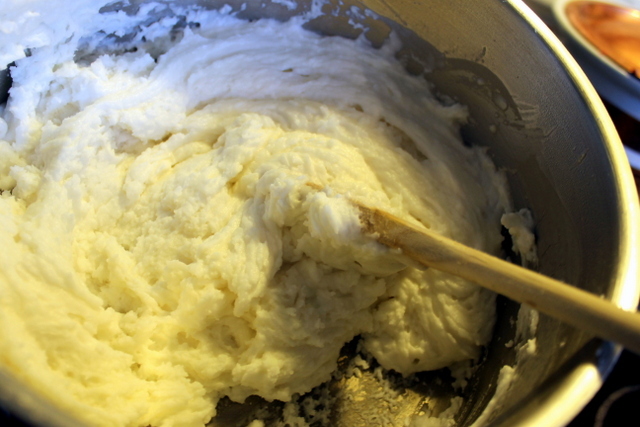 Stir quickly to avoid scorching until the mixture resembles lumpy mashed potatoes. 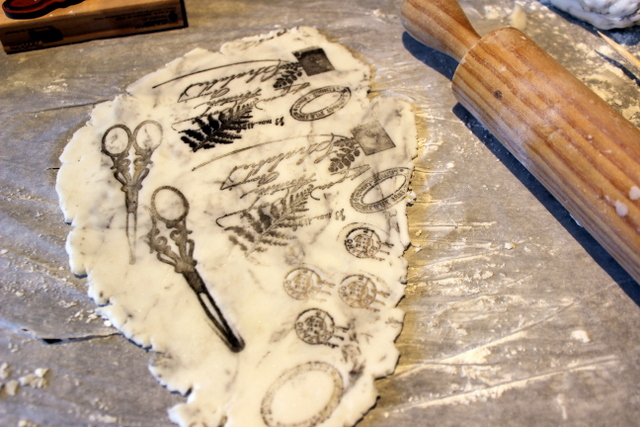 Turn the dough out into a bowl and cover with a cool, damp cloth until it’s easy to handle. 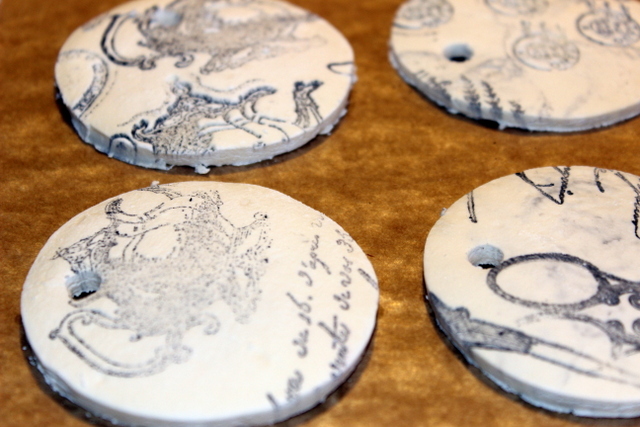 Turn out onto counter dusted with cornstarch and kneed four or five times. Roll out to1/4 inch thick. 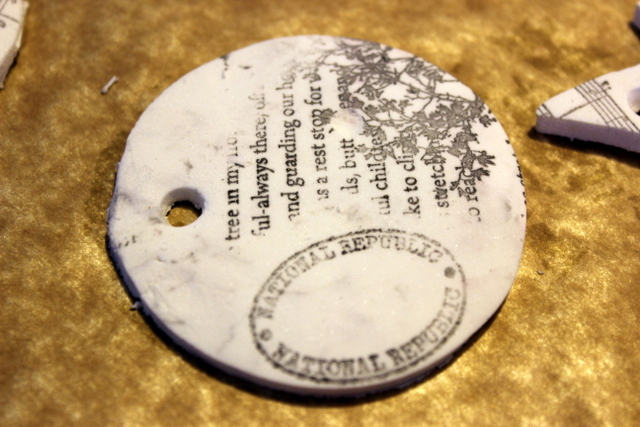 Stamp using your choice of colored inks and stamps or press articles into the clay to make patterns. 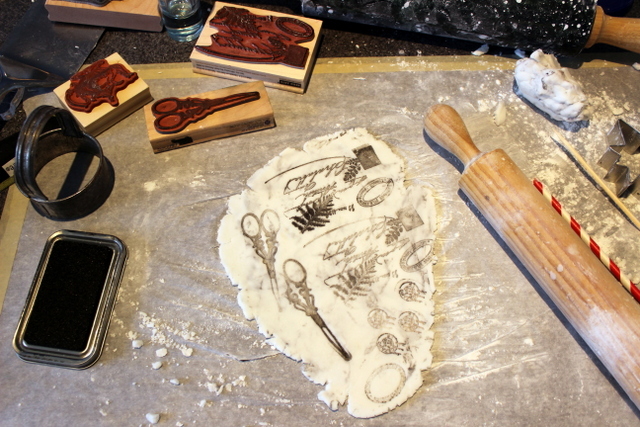 Cut out with sharp cookie or biscuit cutters or with a knife. 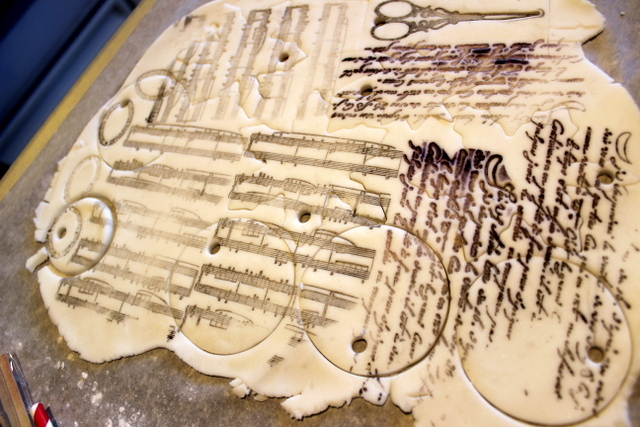 I learned from experience that using a glass or other cutter with a thick or dull edge makes for messy results. 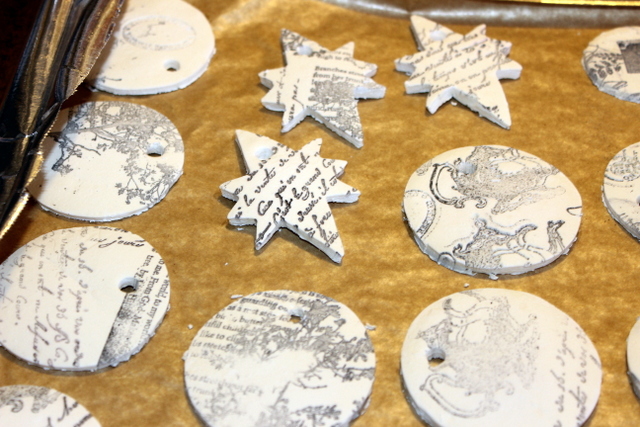 You can allow the cut ornaments to air dry or place in the oven at 200 for an hour or so depending on the thickness of your items. 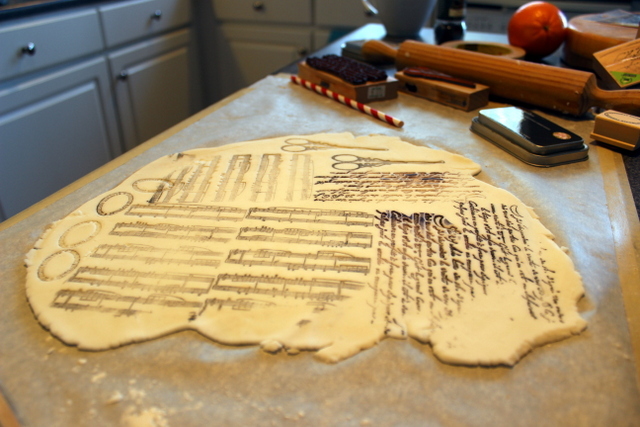 A hotter oven or extended baking times will cause the clay to brown. 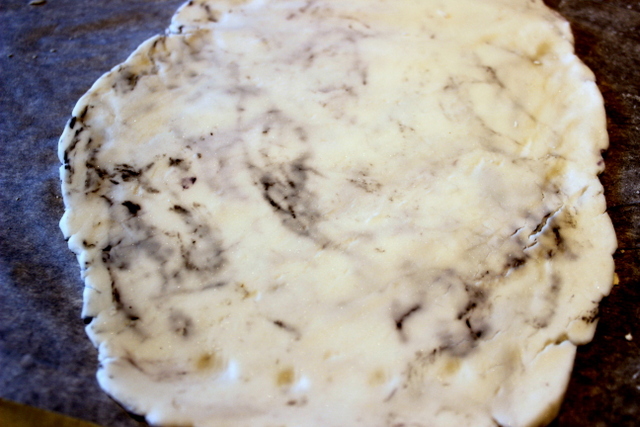 After my initial cuts I re-rolled the dough which resulted in a nice marbled effect. 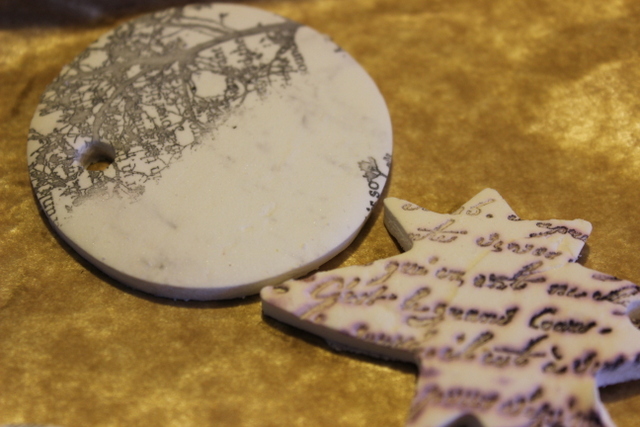 These ornaments were made with the re-rolled/marbled clay. 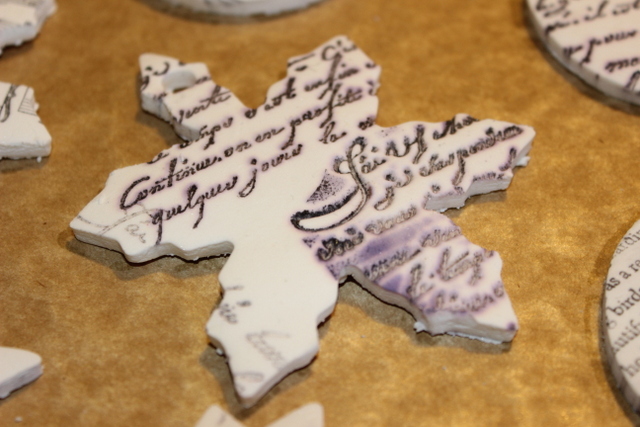 Once dry the ornaments feel like porcelain or Jasperware. Seal with a spray sealant if you prefer a smoother finish. I can’t speak yet for how long the ornaments or tags will last without being sealed, but will be watching over the next few seasons. This is definitely a medium I intend to experiment with more. This entry was posted in creativity, Life, Lovely Things and tagged baking soda and cornstarch, Clay, holidays, ornaments, tags on 29 November 2014 by Autumn Journal.